I visited a number of new rock art panels this past weekend including the spectacular Flying Carpet Panel. 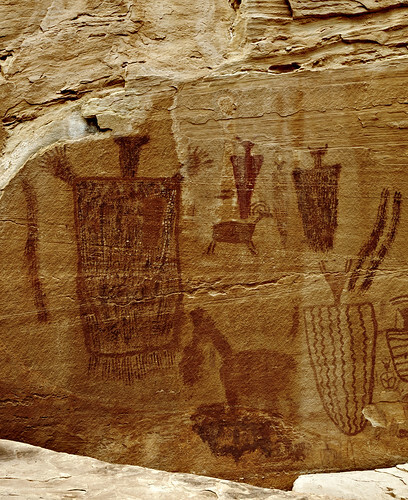 This is another unique Barrier Canyon Style panel that contains a large rectangular figure with short arms that does kind of resemble a flying carpet. This is just a portion of the large panel of pictographs found here.